The C-Series is the next generation in belt scales and productivity solutions. It is a LOADRITE™ product range designed for rugged industries such as aggregates, bulk handling and mining. These belt scales, data communications and reporting options provide you with the tools to monitor and improve your business processes resulting in increased profitability of your operations. LOADRITE is a specialist in providing weighing solutions for the quarry, mining and recycling industries and provides you with adaptable solutions to help you get the most out of your production. 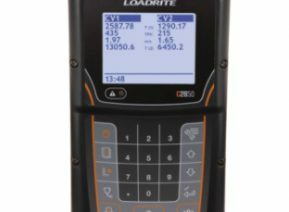 The LOADRITE C-series will provide you with the performance information you need to optimize your equipment utilization, resulting in more tones per hour, less energy consumption and extended performance of wear parts. LOADRITE can help you increase production while maintaining or possibly lowering your costs. Plant operators and managers get a range of powerful tools to measure the actual production from screens and crushers, track final product stockpiles, analyze plant and machine downtime and monitor load out of trucks, port and rail with the C-series. 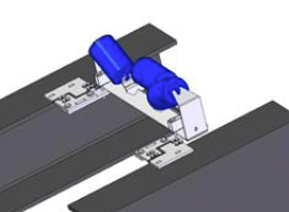 The C-Series weighing systems have been installed on all kinds on conveyors around the world. 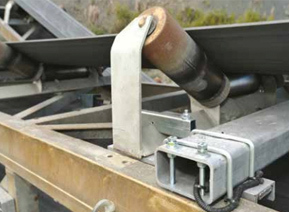 The low profile of the weighing module allows for installation on both fixed conveyors and mobile machines such as crushers, stackers or screens.